Often, we require a utility to speed up our Windows boot. Boot Racer is a program made exactly for that. It is a simple program that calculates your Windows boot time automatically i.e. it measures start up time for Windows. You simply need to download and install the program and launch it. Upon launch, it prompts you to restart the computer for calculating/measuring the boot speed of your computer. The system requirements for this program are minimal. It takes approximately 3MB of the disk space. The developers of the program have even released the beta version of the program – Boot Racer 4.0 that is compatible with Windows 8, as well. Nice find. There is another one called Boot Timer. 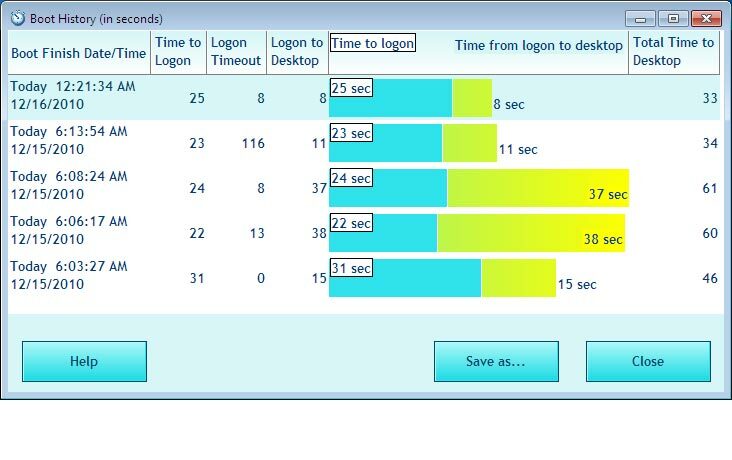 Out of curiosity, does it measure the time it takes for the user input when logging in or is that ignored (can vary on typing speed, length of user name and password, etc.)? I'll have to try these programs out! Thanks! Soluto does have this kind of option.